Hi everyone. Information is up on the 2012 Shelley Hunter Sculpture Workshop in Salisbury, North Carolina. Last year we had rave reviews and we're repeating the class this year. Only eight spaces available and several spaces are already spoken for by repeat students. Hurry and reserve your space today! 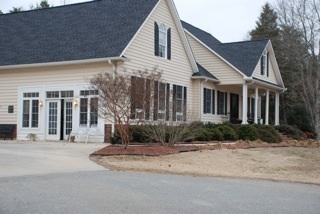 The picture shows the Tolholm Studio at Second Chance Farm, where we'll be working. I'm excited about this class. Don't miss out on all the fun! Click here for the Workshop Registration Form. To see more workshop information click here. Contents ©2010-2011 Shelley Hunter. Simple theme. Powered by Blogger.